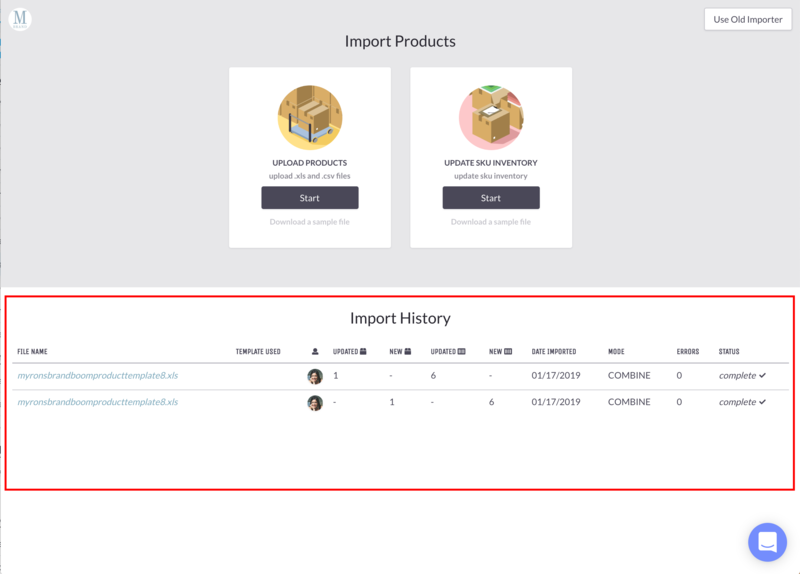 From the main Products page, click the dropdown button next to "Create Product" and select "Import Products"
You will then be taken to the Import Products page where you can select the Import mode. To build New Products and update Product Information, use the "Upload Products" option. 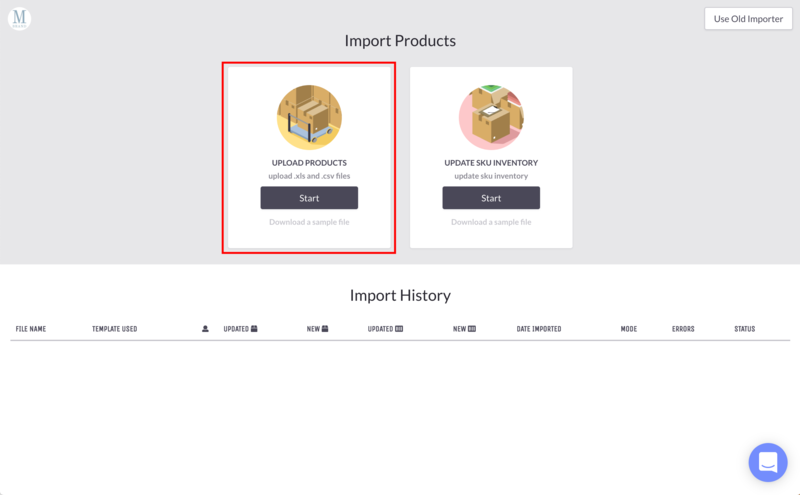 Click the "Start" button on the "Upload Products" option to bring up the importer panel. 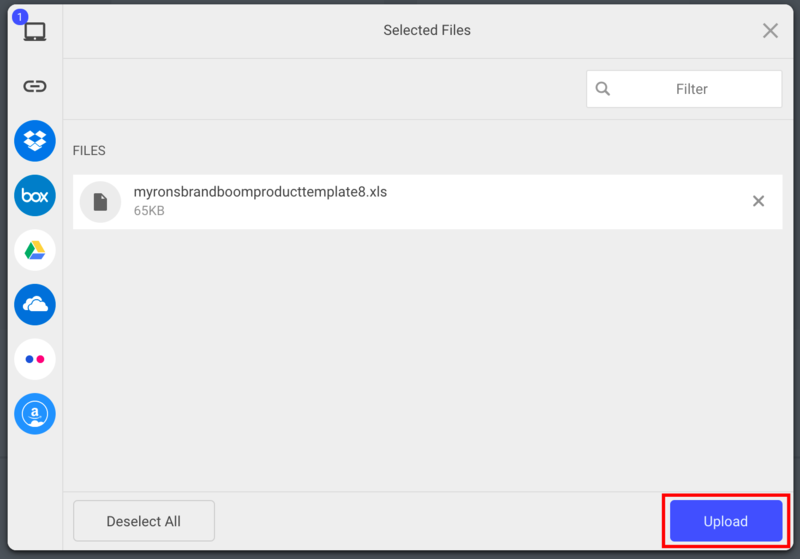 Select a file from your computer or a linked account and click "Upload"
When the file loads successfully, you will be prompted to map the fields from the file to Brandboom's Product Attributes. You can make any adjustments here if needed. If you've uploaded a Brandboom Template, it will automatically detect and match these for you. Select between Combine or Split for the Product Build method by toggling this "Combine" switch. 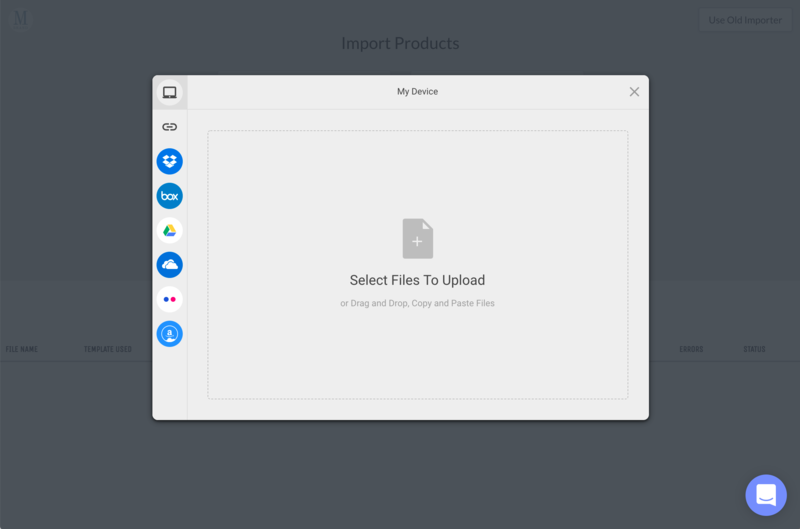 Click the "Import" button to proceed with importing your file. When your import job begins successfully, you will see a confirmation message and the "Create Product" button group will turn yellow to indicate an Import in Progress. You can click on the "Import in Progress" button to view the Import Page. At the bottom of the Import Page, your Import History will list all of the completed and in-progress import jobs. 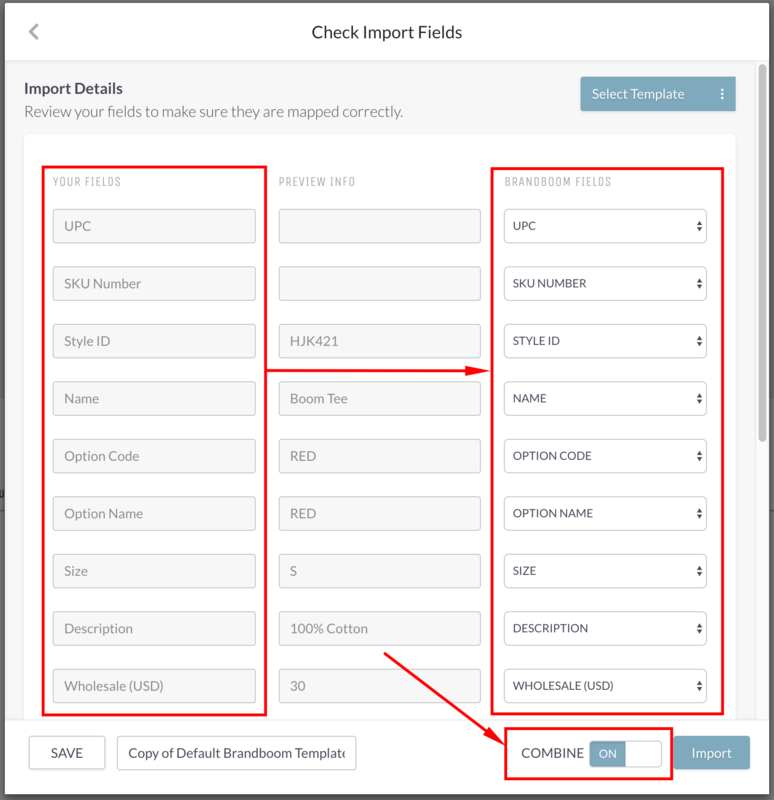 See Product Import History for a detailed breakdown of the different functions available in this section. If you get any errors during the import process, see Errors Importing Products for solutions.